We love designing in light and exploring the various ways to bring light in. 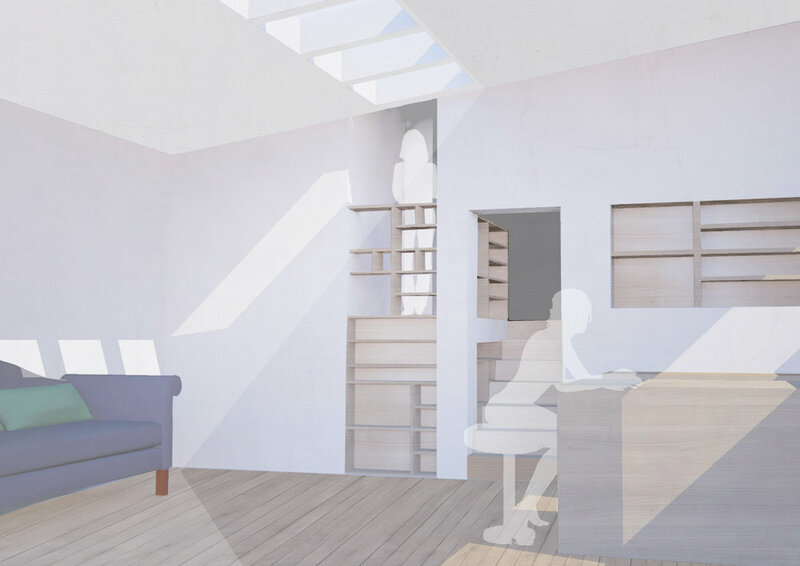 For this contemporary extension project in Edinburgh, we modelled the sun path around the rear of the existing house and used this to design using light at different times of day and year. Having discussed what light to bring into each space, the external form became an almost diagrammatic expression of this. The plan is divided into three sections; living, kitchen/dining and service. The walls and roof are then configured for optimal window positioning, within a simple diagram of interlocking-L roof shapes.